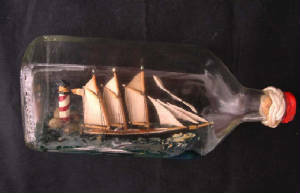 Click on the photo to see a larger view of the model. Winner in 1851 of the cup race that now bears its name. 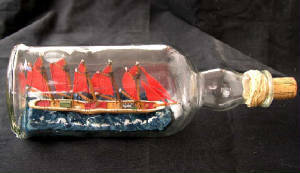 Square and fore-and-aft rigged sails helped these agile ships at sailing down wind or into the wind. 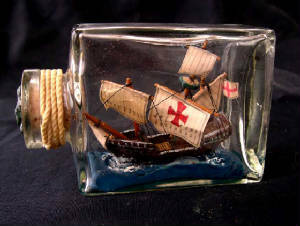 A Spanish vessel of the 15th-Century in a three-inch bottle. 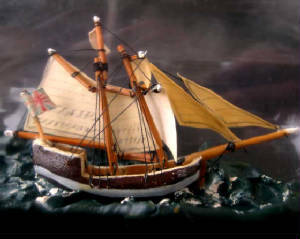 American and British schooners that tangled during the US Revolutionary War. 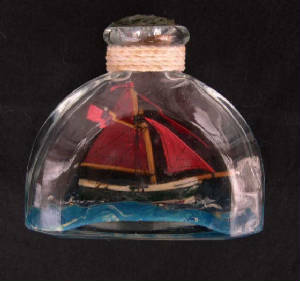 Winner of the America's Cup in 1885. 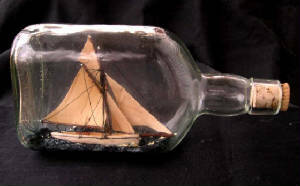 A single-masted, fore-and-aft rigged work boat in a four-inchl triangular bottle. 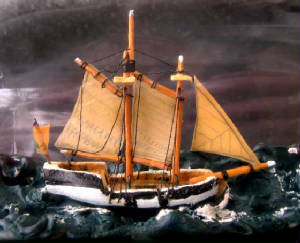 Fast, agile merchant vessel, small crew, good for coastal waters and often used for hauling lumber.